at Misono’s 5 superb restaurants. Misono was opened in Kobe in 1945. 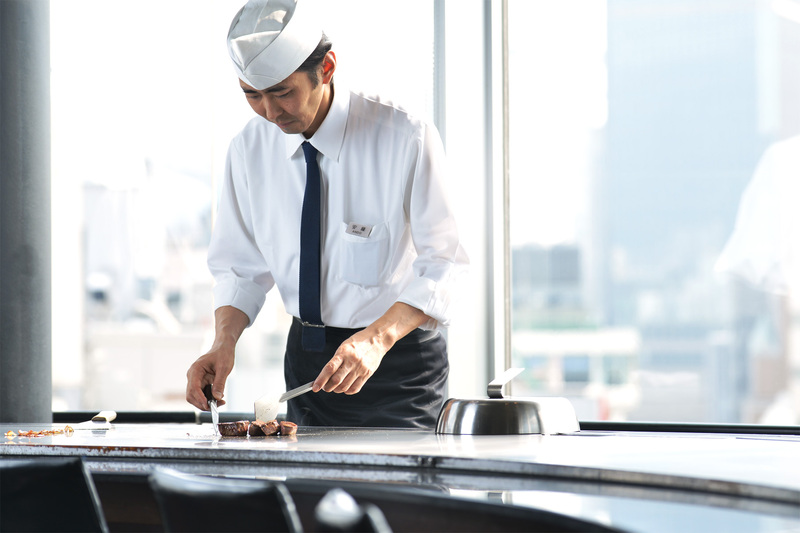 Misono was the originator of Teppanyaki that a chef directly serve food across a big iron plate. The creative idea serving food and the great flavor that you cannot have with any other types of cuisines have been succeeded. It is located at south of Ikuta shrine and in front of Tokyu Hands. 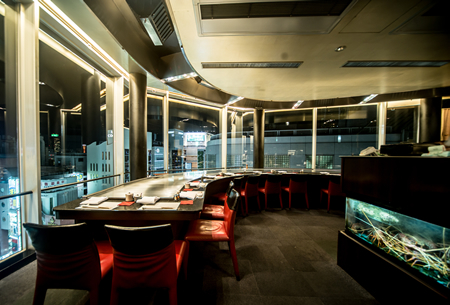 The restaurant is on the 7th 8th floors at the glassed building owned by Misono. Please enjoy the taste of original Teppanyaki. After having achieved success in Kobe, Misono opened its second store in Minami area of Osaka. It was later moved for a renewal to Kitashinchi which is one of the most famous city centers in Kansai region. 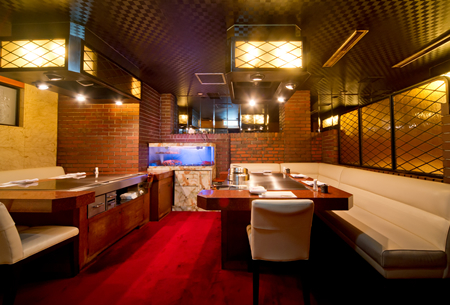 The retro style design that reflects the mood of the beginning of Showa period and spacious private rooms with a Japanese Horigotatsu style low table that is built into the floor at Osaka store will let you fully enjoy our Teppanyaki steak. The store is located on National Route #2 and very accessible such as by a taxi and 1 minute walk from JR Kitashinchi station. In 1982 at about the same time as Osaka store moved from Minami area to Kita area, Kyoto store was opened. The design around the counter is inspired by temples and shrines of historic city of Kyoto. Taisho roman style themed table seats create a warm atmosphere. This charming interior will be perfect to end your day of sightseeing. 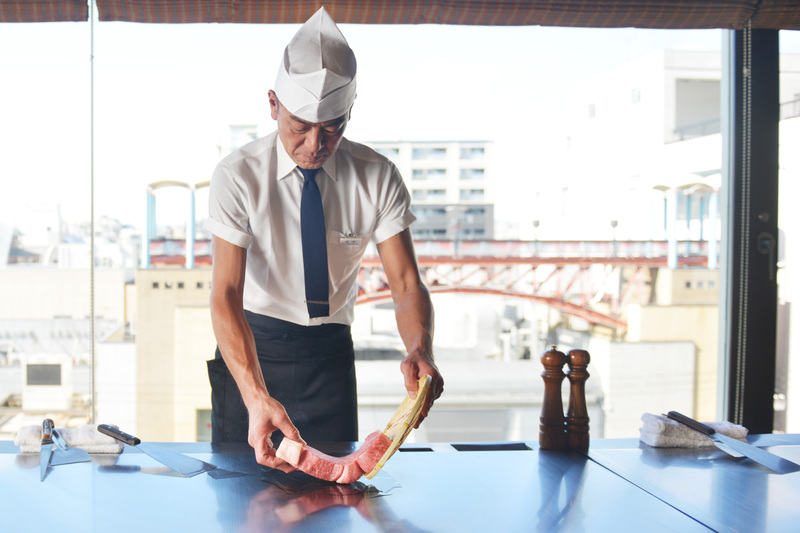 The restaurant is loved by celebrities of both Japan and foreign counters, Kabuki actors, and Maiko. Even on rainy days, you can visit the restaurant without being wet. The newest store of Misono with the history of more than 70 years is Ginza store. 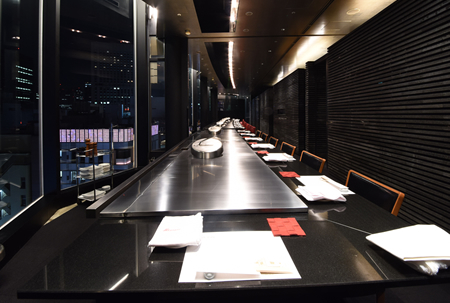 There is a direct elevator straight to the restaurant where you will find a counter with a long and beautiful Teppan iron plate. 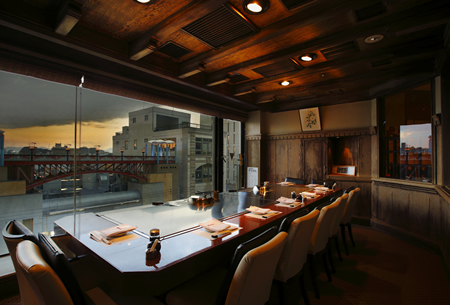 The dining experience of having a great view of night scene of Ginza through a big window in front of you will be very special. 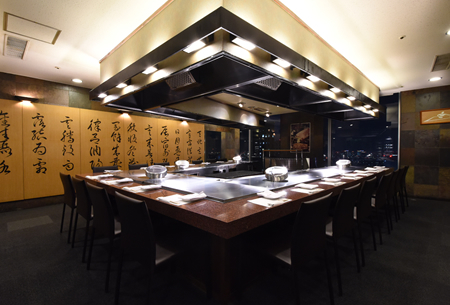 The restaurant is located very close to the central Ginza and is perfect for any occasions such as a date, business, and sightseeing. There is a completely separated private room available. Shinjuku Sumitomo Building (a.k.a. Triangle bldg.) is having its 41st anniversary in the district of high　rise buildings. 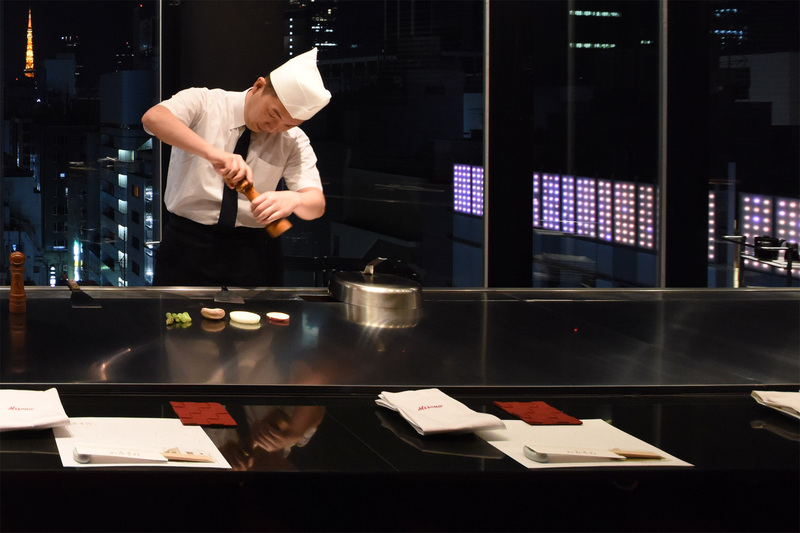 Since the building was opened, Misono has been operating its restaurant at the great location of the 51st floor that looks like floating in the sky. There are total 52 seats at the restaurant where the reversed V shaped counter and Japanese or western style 5 private rooms are available. It will be perfect for any occasions from business to sightseeing, meetings, and parties.